I am so excited to announce that I'll be leading a retreat in Ibiza this spring! The dates are set for April 26 - May 2nd, 2014. I've partnered with Sophie, a wonderful woman who has secured the perfect venue for our retreat and will take care of all of the booking details. The property, an old Spanish finca, is nestled in the hills of Ibiza. 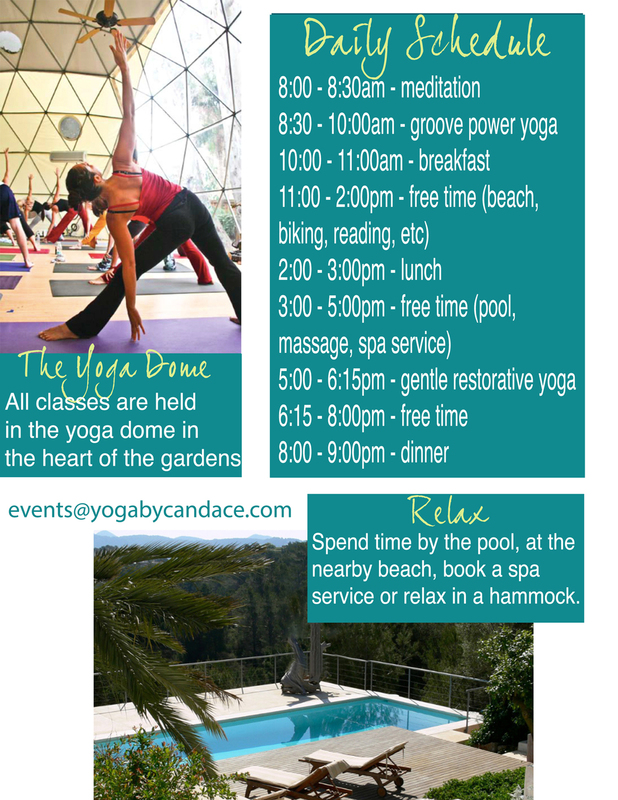 It features a gorgeous pool, pristine beaches nearby, a really cool yoga dome for our classes, and wifi. The prices range from €1100 - €1390 depending on your room choice, and include accommodation, all meals (organic, vegetarian), eleven yoga classes, one guided meditation class, and concierge service. The first three people to pay in full receive a free 30 minute massage! Please email events@yogabycandace.com to reserve your spot or ask any questions!